This really caught my eye. 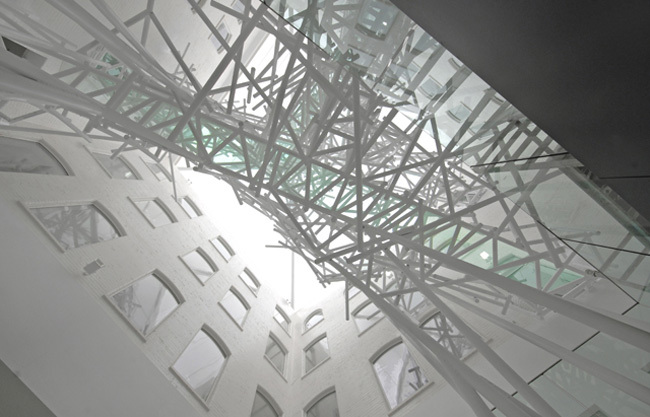 In the center atrium of Zellig — a building designed to provide space for young creative enterprises and galleries as part of the Custard Factory redevelopment in Birmingham, England — is a unique five-story-high sculpture designed by Philip Watts Design titled Chaos. 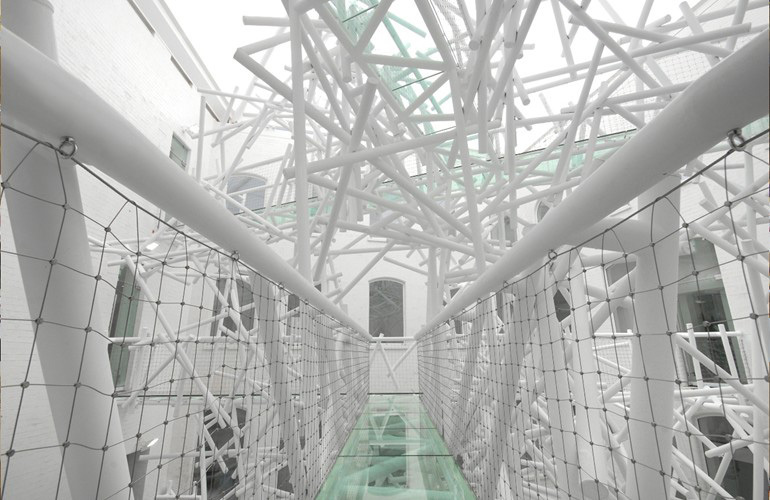 Though at first glance the piece does give the appearance of a chaotic mass, in actuality it is a functional art installation designed to connect the courtyard at three levels. Made with 2000 meters of steel tubing and containing three glass bridges, it must be quite spectacular to find oneself intertwined in the sculpture.